Navajo Lake State Park is located just minutes from the Enchanted Hideaway Lodge and is a year-round outdoor paradise. 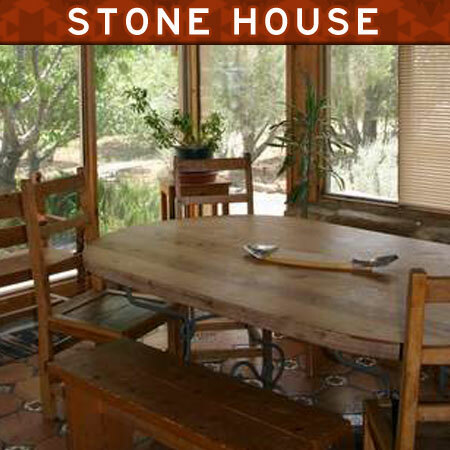 The area includes the Quality Waters of the San Juan River, Navajo Lake and the surrounding mesas, canyons and beautiful high desert terrain. Navajo Lake State Park is a destination enjoyed by visitors from around the world every year because it offers some of the best fishing, boating, hiking and camping New Mexico offers. Boundless Recreation for all Ages! The recreational activities in Navajo Lake State Park are endless and range from family friendly day hikes, fishing and boating to challenging adventures for more experienced outdoor enthusiasts. The park is comprised of over 21,000 acres of beautiful high desert terrain and many miles of shoreline including secluded canyons and bays. Boating: The second largest lake in New Mexico, Navajo Lake is large and deep enough to accommodate any size boat from a kayak to a cabin cruiser. Pontoon and sail boats are extremely popular on the lake for a relaxing day on the water under the beautiful Southwestern sky, while many enjoy the adrenaline rush of water skiing, wake boarding or jet skiing. Guided tours of Navajo Lake are also popular for those visiting this western lake paridise for the first time. 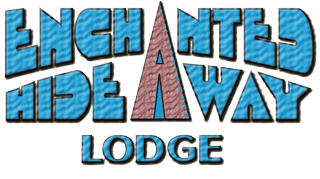 Feel free to contact the Enchanted Hideaway Lodge for help on boat & slip rentals, tours or any other questions. 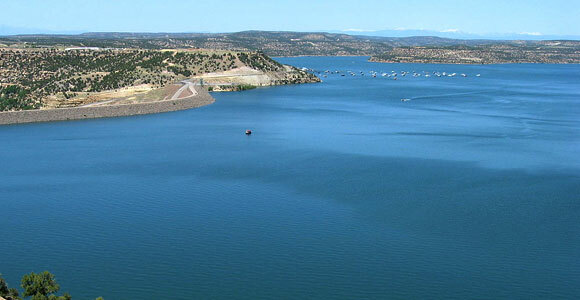 Fishing: Navajo Lake State park is truly an angler's paradise featuring both river and lake fishing for Rainbow Trout, Brown Trout, Pike, Largemouth Bass, Smallmouth Bass, Crappie, Catfish and Carp. Ask anyone who has fished these waters and you might just hear a story of the most exciting fishing trip of their lives! Boat rentals are available and if you prefer to fish from the land, easily accessible shoreline fishing can be found on both Navajo Lake and the San Juan River Quality Waters. Experience the fishing trip of a lifetime where you can learn the nuances of these world famous waters by booking a guided fishing trip on Navajo Lake or the San Juan River. Hiking & Mountain Biking: Thousands of acres of breathtaking high desert scenery and hundreds of miles of trails for hiking, backpacking and mountain biking make Navajo Lake State Park a popular destination for both families and hard-core outdoor enthusiasts who want to enjoy the pristine wilderness, mesas, canyons and abundant wildlife the area has to offer. Wether you are looking for a short single-day hike, an easy biking trail for the family or an advanced and challenging adrenaline pumping adventure, Navajo Lake State Park has something for everyone!